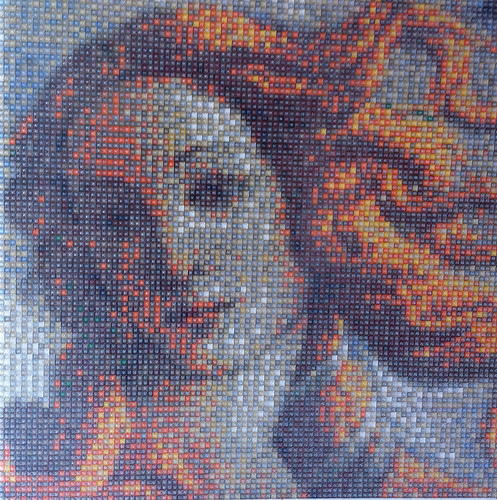 This incredible mosaic, by Arthur Gugick, depicts Botticelli’s Birth of Venus and it is gorgeous. Not only does it convey the beauty of the actual painting, but the colors achieved by overlaying the solid-colored plates with transparent ones gives it such an wonderful array of rich color tones. I have seen a lot of excellent mosaics and this has to be one of the best.